It was never in doubt! Origi’s last gasp winner rightly grabbed all Liverpool headlines at the weekend, but let’s not forget the loanees were in action too. Let’s start with those who did not feature and, with the weekend off, most likely got a head start on their Christmas shopping. Ben Woodburn was again left out of the Sheffield United squad. The youngster has really struggled for a place and there are reports LFC are looking to cut his loan short. Corey Whelan did not have a match this weekend, whilst Danny Ings, Ryan Kent, Connor Randall and Allan Rodrigues de Souza all missed out through injury. Shamal George was once again an unused sub. 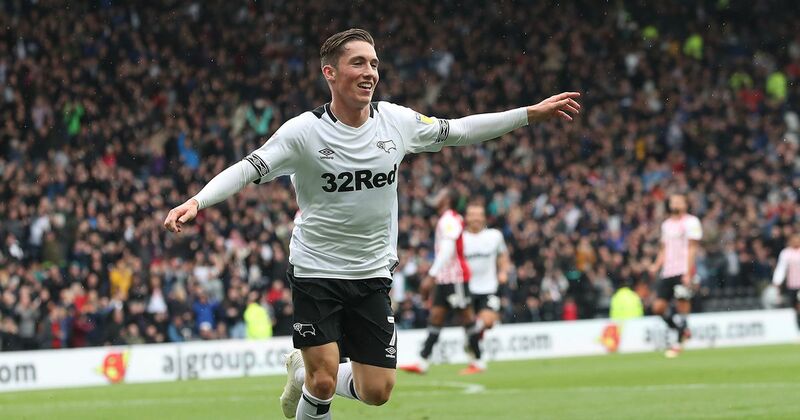 Harry Wilson has been compared to Fernando Torres for the way he looks, but if he keeps banging the goals in like he did at the weekend he will soon be compared based on performances too! Wilson produced a MOTM display as Derby won 2-1 away to Swansea with the Welsh youngster netting both their goals. With the game at 0-0 the Welsh wizard picked up the ball 25 yards from goal and hit an unstoppable drive into the top corner. He added his second ten minutes later as he won back possession, beat a defender and fired home into the bottom corner. Loris Karius had a night to forget in the Europa League midweek, being at fault for two early goals as Besiktas had to battle back from 2-0 to beat Sarsborg 3-2. However the German retained his place at the weekend for the Istanbul derby against Galatasaray and he did not disappoint. He made a string of fine saves in a fiery derby as they won 1-0. Marko Grujic continued his comeback from injury at the weekend, playing the full 90 as Herta Berlin took on Hannover. The young Serbian was part of a midfield three that produced a dominant performance as Hertha went on to win the game 2-0. Sheyi Ojo made a rare start for Stade de Reims at the weekend, just his second of the season, as the French side took on Marseille in Ligue 1. Despite having more shots than any other player Ojo was unable to make the breakthrough and was subbed with 25 to go as the game fizzled out for a 0-0 draw. Taiwo Awoniyi again did not start for Gent this weekend. However, he did make an impact. At 2-0 against Lokeren with 10 to go the manager took a last roll of the dice and threw the young forward into the mix. As the pressure grew the Lokeren defence finally cracked conceding twice in the final minute of the game for an eventual 2-2 draw. All good things shall come to an end. After a fantastic streak of 5 in 5 games Herbie Kane’s run of goals finished this weekend as Doncaster faced Charlton in the FA Cup. However, the young Red still gave a very good performance in the 2-0 win to progress into the third round. Ovie Ejaria was at the heart of midfield and at the heart of everything as Rangers took on Hearts in the SPL this weekend. A feisty affair saw the Gers reduced to 10 men but that did not stop them taking all 3 points in a hard fought victory that saw them leapfrog Celtic and go top of the SPL. Adam Bogdan had a weekend to forget as Hibs lost 3-0 to Kilmarnock in what has been described as a dire performance from the club. Finally, it was a Monday night to remember for Anderson Arroyo as he continues to learn his trade in the Gent U21 squad. Playing the full 90 at full back the young Red put in an impressive performance as they beat table-toppers Standard Liege 3-1.